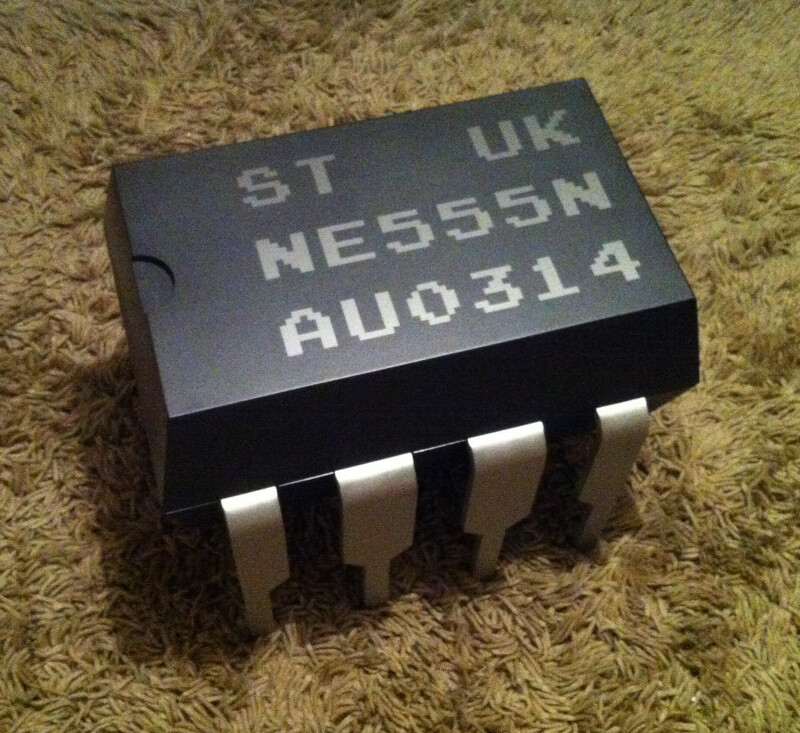 The 555-timer integrated circuit is one of the most famous and popular chips ever invented. Created in 1971, it’s got a near cult following with books, blogs, newsletters, and devoted fans even today. 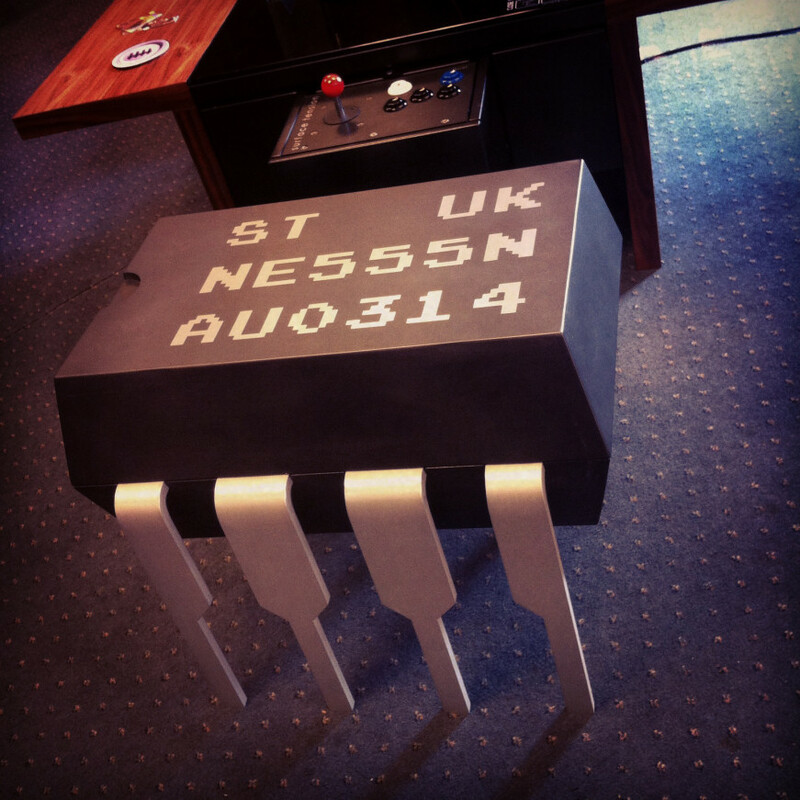 That’s why Imgur user “surfacetension” built this amazing stool in the form of a giant 555 chip! The real 555 timer packs in more than 28 individual components into its small plastic shell, but this inspired stool is conveniently hollow for storage. 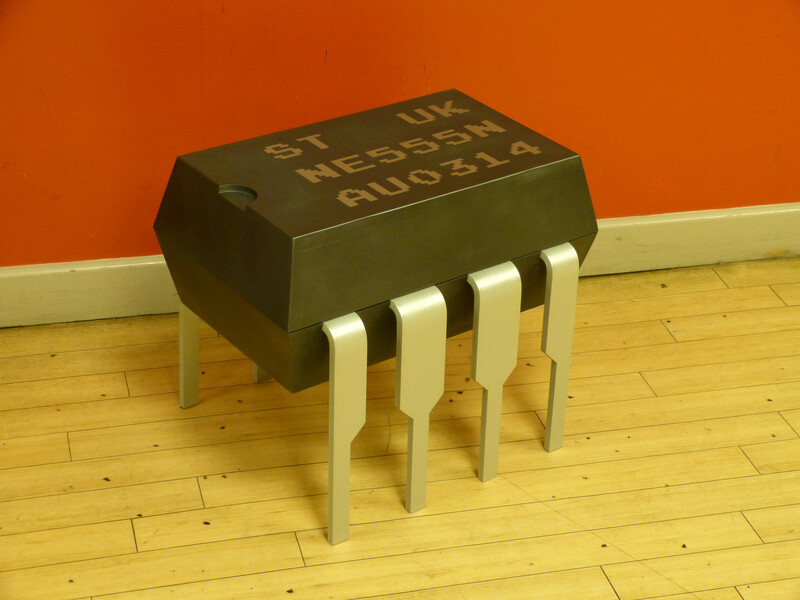 Unlike the version made in 2011 by EMSL, this one has usable storage space. 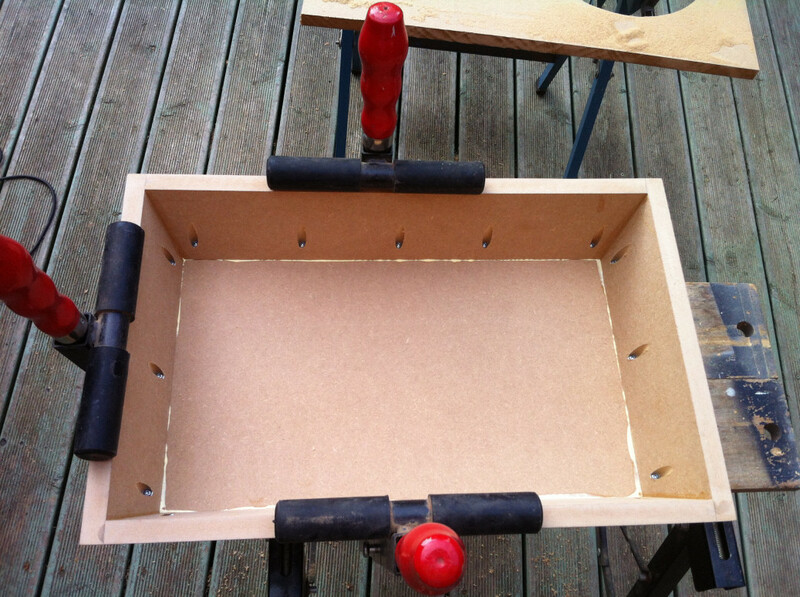 Using a Kreg pocket hole jig, surfacetension was able to conceal the screw heads on the interior of the IC body — this will become the seat of the stool. 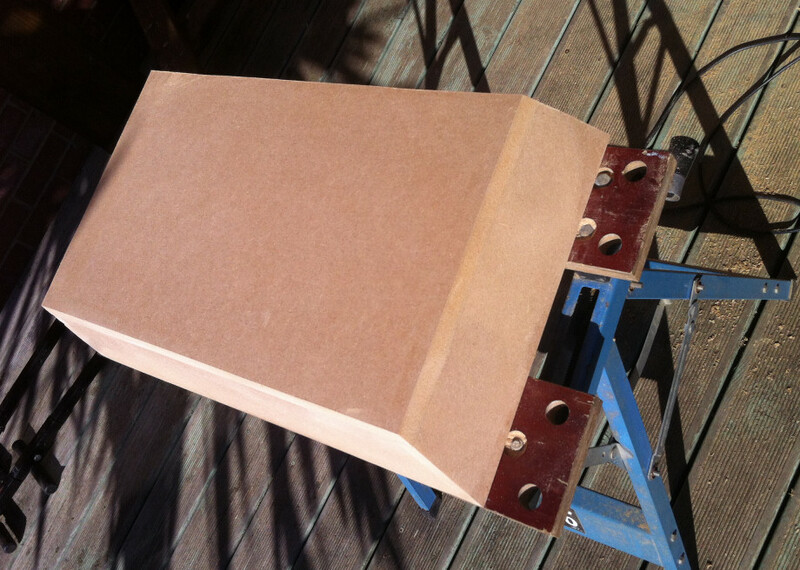 Once the woodworking was complete, the lid was sanded and prepared for a coat of primer. 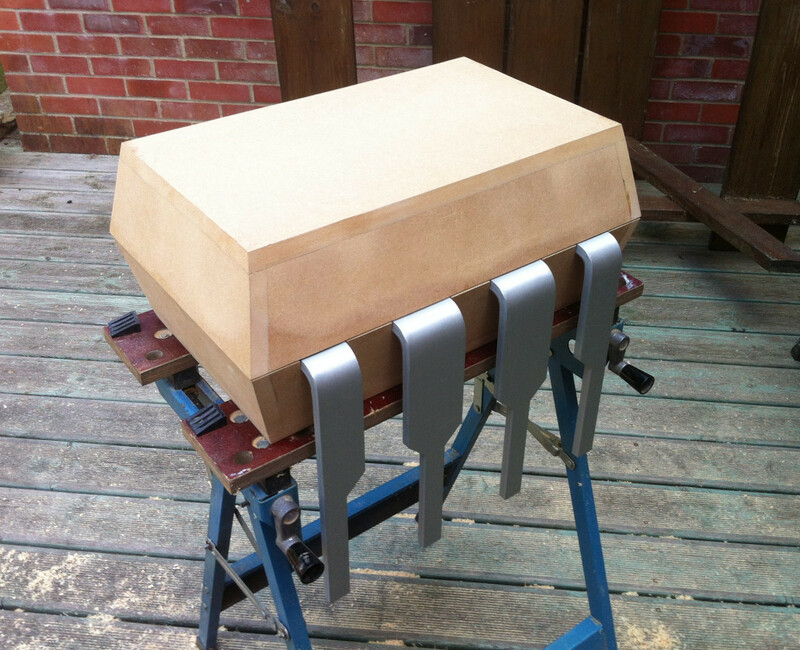 The legs are built from 12mm aluminium stock, which was originally laser cut, then formed and anodised. 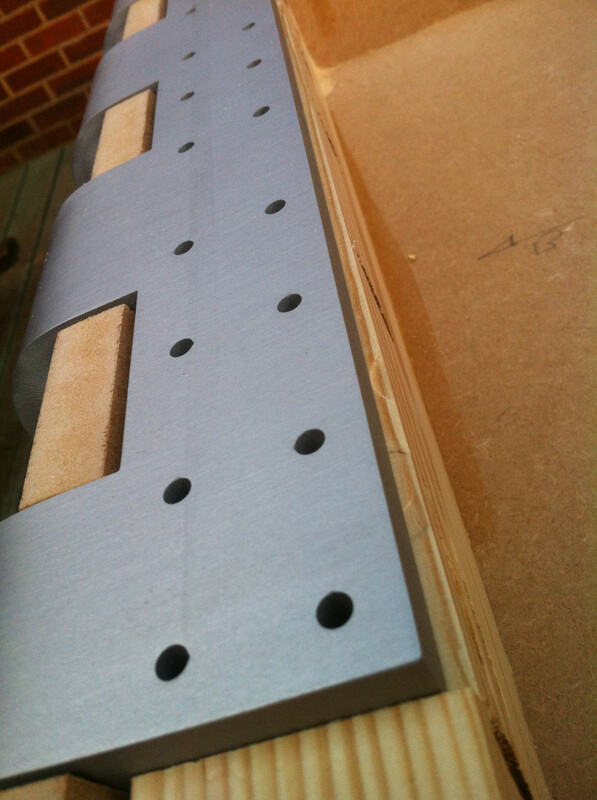 Since the aluminium legs will be load bearing, surfacetension wisely drilled a ton of holes to secure the aluminium to the bench seat. And if you want more specifics on the process, you’re not alone, so do we! And we’re working to track them down for you. Those familiar with electronic parts will surely appreciate the attention to detail with the IC body, note the notch to indicate the location of the chip’s pin 1! 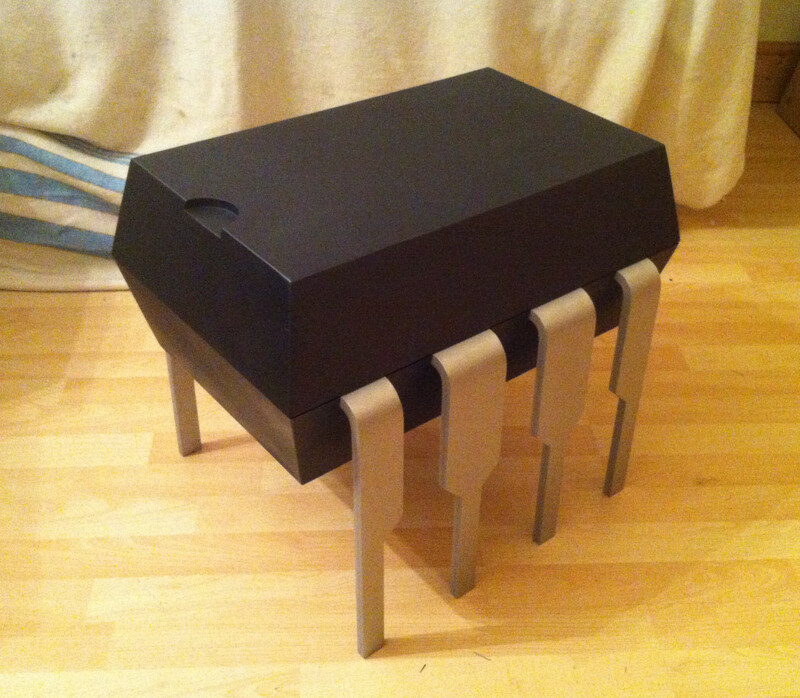 If all that weren’t enough already, surfacetension added the part number and other identifying marks to the top of the stool. If you’re interested in the electrical version of the 555 timer, built with discreet components, check out the kit from our friends at Evil Mad Scientist Labs For a deep dive into the theory and application of the 555 timer, Charles Platt’s electronics books are indispensable references.